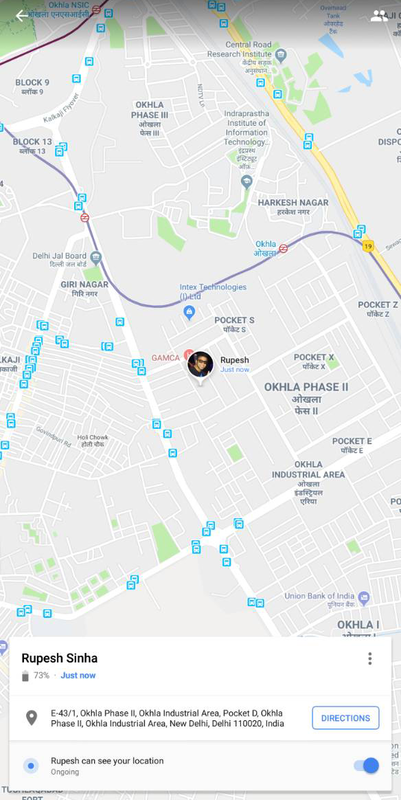 Google Maps’ live location feature can be a godsend for those who need to keep a watchful eye on their loved ones. And it can also stop those unfamiliar with a city from getting lost by letting friends track their whereabouts. But that’s not always the full picture. What if your friend or relative has low battery and suddenly drop off the map; it could cause panic or anxiety. But Google is looking to change that by showing battery percentage and distance from your contact. Not only should this change keep you alert to their whereabouts but it also tells you to start moving to meet them – if you have to – when their battery is low and they are some way away. Getting the full address is particularly handy if you know their intended location and you can step in to save the day or send help their way. 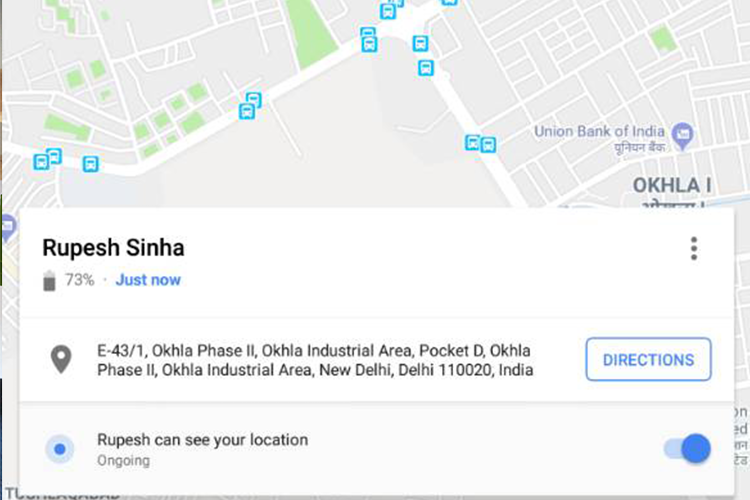 Earlier, you could only see the contact who has shared their location in Google Maps and from there you could see their location. You could also share your location back, which is still present as seen above. What’s new is the Directions button which is certainly very handy and one of those things that we think should have been included from the beginning.